Dalvin Cook’s hamstring injury held him out of another Vikings practice. This time, the running back ran back into the locker room after warmups on Thursday and was officially listed as having not practiced. Dalvin Cook’s hamstring injury held him out of another Vikings practice. 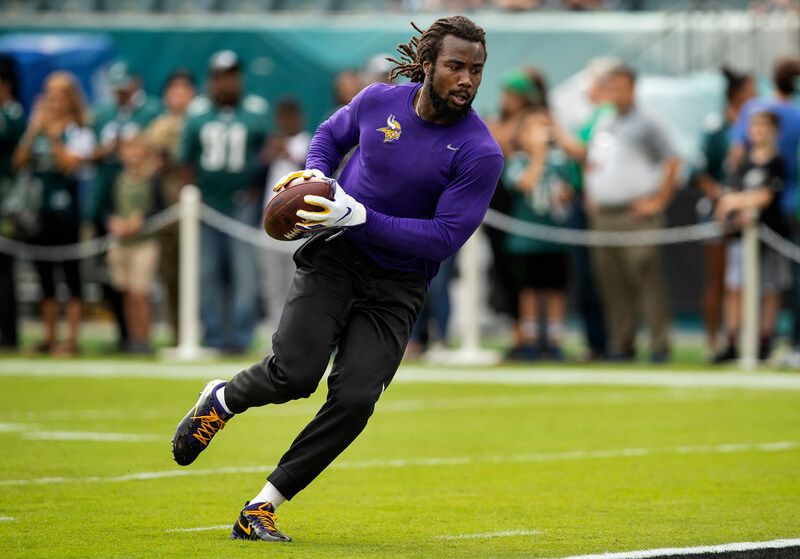 This time, the running back ran back into the locker room after warmups on Thursday and was officially listed as having not practiced — a day after he was a full participant. Cook, who has not played since the Sept. 27 loss in Los Angeles, appears to again be questionable for his possible return Sunday in New York against the Jets. We’ll get the final game-day injury designations on Friday after practice. Cook was one of six Vikings held out on Thursday, including defensive end Danielle Hunter (groin), nose tackle Linval Joseph (ankle/shoulder/knee), safety Andrew Sendejo (groin), left tackle Riley Reiff (foot) and defensive end Everson Griffen (not injury related). Hunter missed his first practice of the season, popping up on the injury report Thursday with the groin ailment. He warmed up with his defensive linemen at the start of practice before heading into the team’s facility. The Vikings were without three of their starting defensive linemen on Thursday between Hunter, Joseph and Griffen. Jets’ injury report: DB Marcus Maye (thumb) and WR Quincy Enunwa (ankle) have been ruled out for Sunday. RB Isaiah Crowell (foot), DB Trumaine Johnson (quad), WR Terrelle Pryor (groin) and CB Buster Skrine (concussion) did not practice Thursday. The Jets could be without a couple of their top receivers and defensive backs on Sunday. Maye and Enunwa have been ruled out by head coach Todd Bowles, while Johnson, Skrine and Pryor have yet to practice this week.